Finally managed to shoot some new outfit shots, after lots of failed attempts in these tornado like winds we've been having! 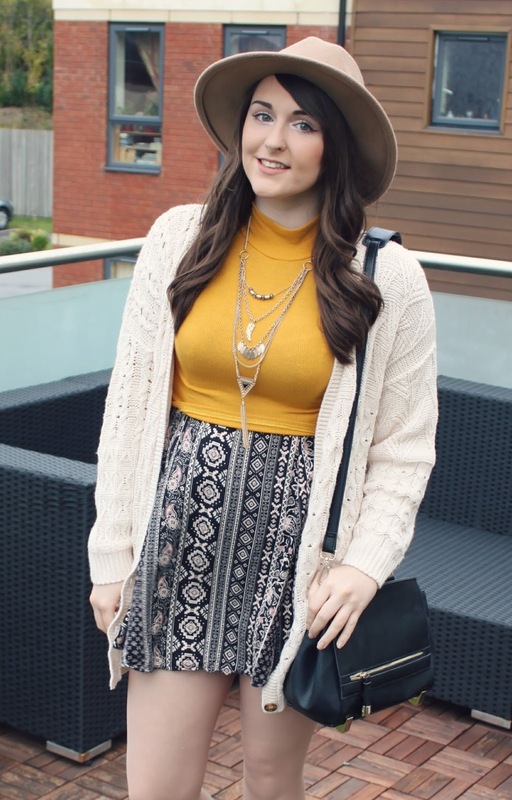 This week is all about one of my favourite trends - bohemian. I've always loved the laid back, free spirited feel of boho. And whilst I do tend to sway more towards cute vintage style clothes - I definitely think there's a place in my wardrobe for some key boho pieces. A big part of bohemian style is definitely fun artistic prints - and this dress from Boohoo.com is no exception! 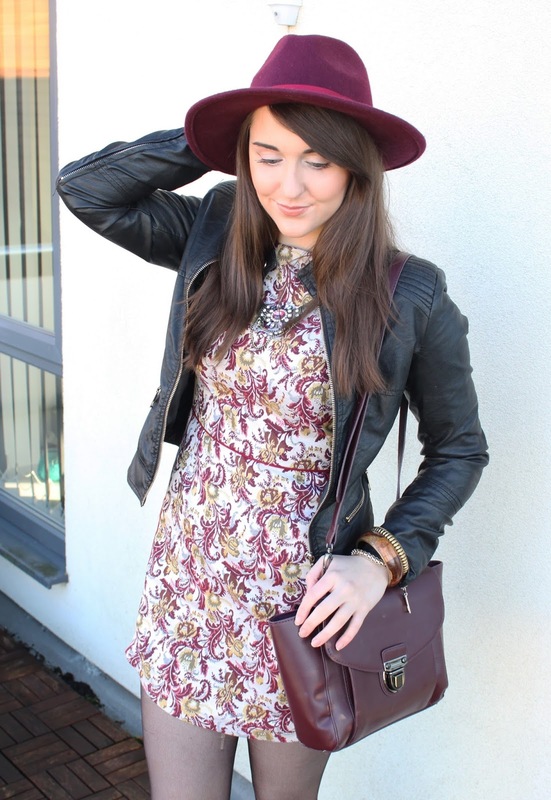 I love the colours, especially the dark red tones, which I think go really nicely with the fedora & bag accessories. I added a comfy black leather jacket for a finished weekend ready outfit. In this boho look I layered up a pretty aztec print dress with a bright mustard top, a comfy knit cardigan & a multi layer necklace. I think the bright top contrasts quite nicely against the rest of the darker and more neutral colours of the outfit, to give a lovely pop of colour! You wear bohemian outfits so perfectly!! I absolutely love the second look. The print of the skirt is too cute! Hope you've been doing well, Gabby! Hey gorgeous! Thanks so much - just caught up with your blog, lusting after that coat on your recent post! Aw thanks - glad you liked them :) Looking forward to catching up with your blog! that last dress is amazing! Omg such pretty dresses. Loved how you styled them. I love all these looks!! Amazing style! I love love the third outfit! 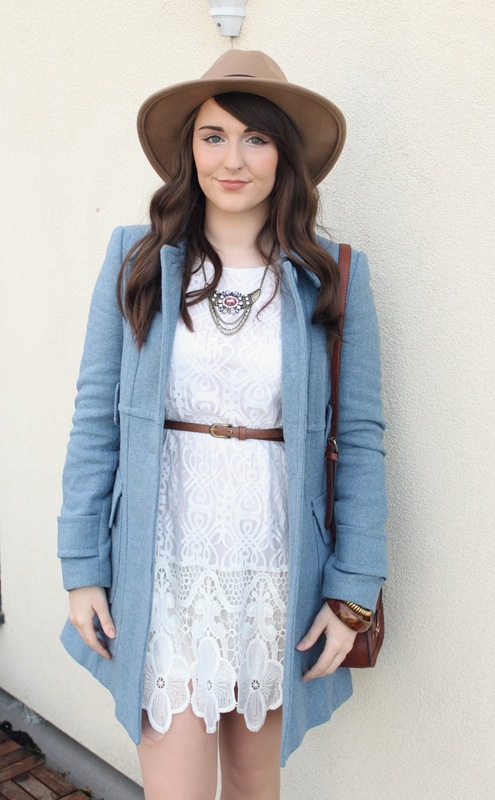 The white lace dress looks gorgeous on you! I love all 3 outfits! First one's probably my favorite although that white dress is also super pretty! I love all of these outfits. 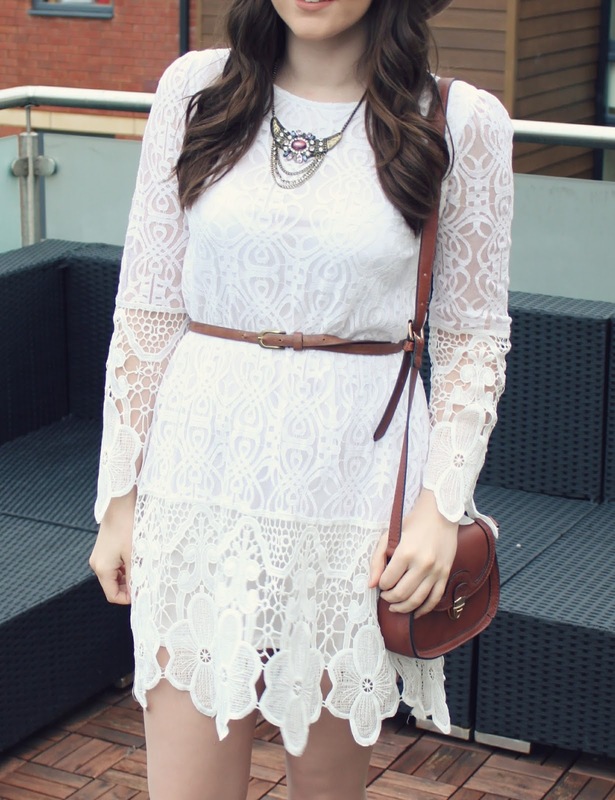 That white lace dress from Boohoo is perfect! Wow! Speechless! I am loving all of the 3 looks! 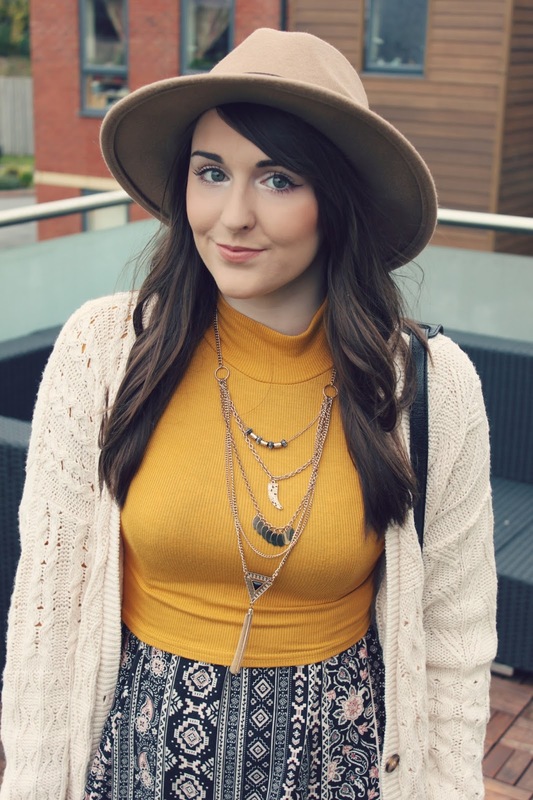 Check out my latest outfit post. I love all of your outfits! You look so stylish!